The power of mind abilities is a part of every person’s life. Telepathy is a method of communication that uses only the mind as opposed to spoken or written language. You might think of it as being able to read someone’s mind to discover their deep, dark secrets. While you might be able to pick up bits and pieces of thoughts, you should not worry about having your mind probed by a telepath or finding out things you would rather have unknown once you have developed your own powers. Whether you prefer to try exercises with cards, colors or other methods, there are exercises you can take up to improve your telepathy. The power of mind begins by centering yourself. You may want to meditate before starting. Feel the moment, and keep your mind there. Think of nothing else. To work on telepathy using playing cards, you will need a partner, a deck of cards, and pen and paper to keep track of your progress. You and your partner sit with your backs to one another. One of you is the designated sender, the other the recipient. The sender should shuffle the deck of cards and look at the top one. When prepared to transmit what card it is, the sender taps the deck. The transmitter should focus first on the color of the card, red or black. Try thinking of an image that conveys the color, like a red apple or a black car. The receiver should attempt to feel the image of a color. Since the two choices are red and black, it is easier to strengthen your mind without having to worry about the choices. You can continue the exercise for the entire deck of cards. With fifty-two cards in a deck, if the receiver predicts more than twenty-six correct colors correctly, there is likely a strong telepathic basis. Continuing the exercise will only continue to increase the power of mind telepathy. Try a similar exercise using colors by finding five similar objects of different colors (colored pencils, thumbtacks, paperclips). The procedure of this exercise is very similar. The sender selects one of the items and begins to transmit an image of the color. It is important that both partners are centered, and that both take the exercise seriously. Continue the exercise for five to ten minutes at first. You can then switch roles. 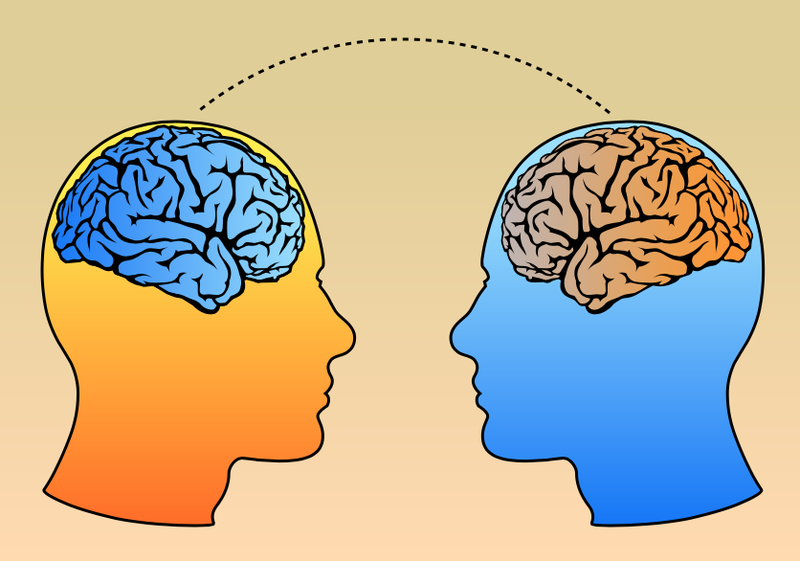 Performing both the sender and receiver’s roles can help increase the power of mind.